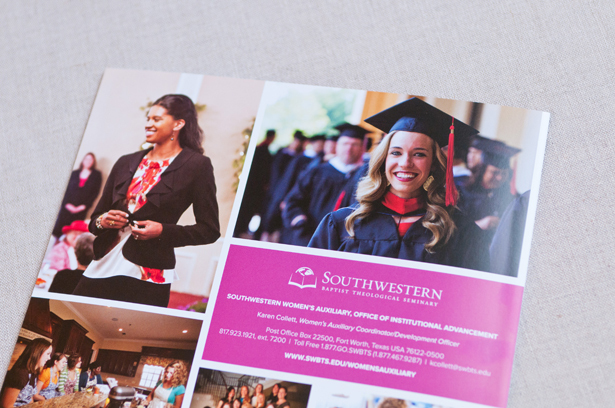 I love fun layouts and pretty brochures. 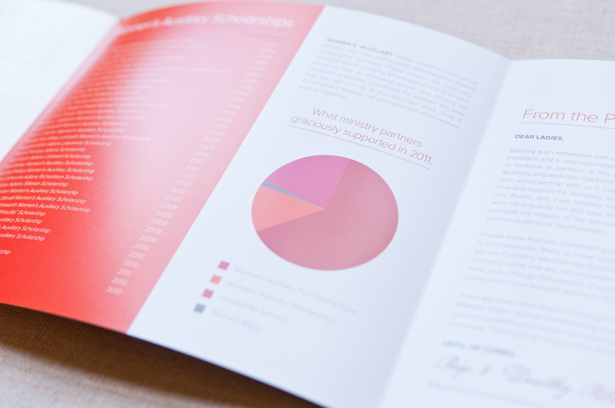 Well this project is both. 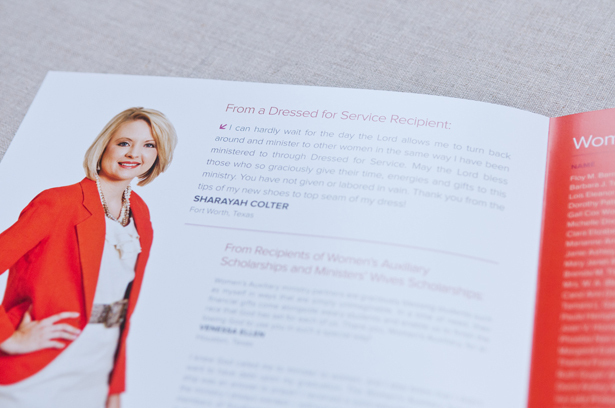 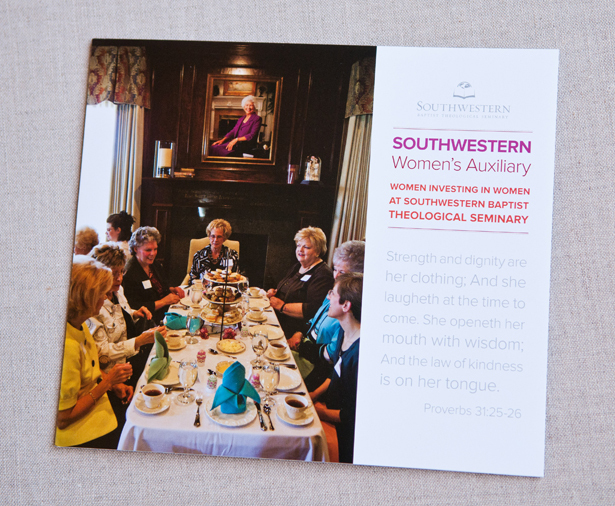 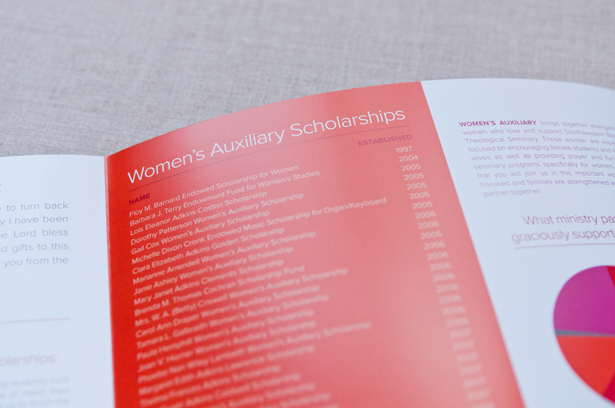 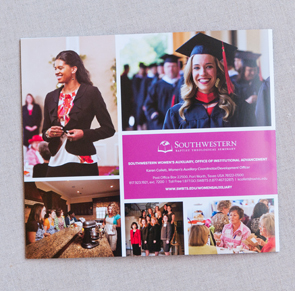 This brochure was designed for Southwestern’s Women’s Auxiliary. 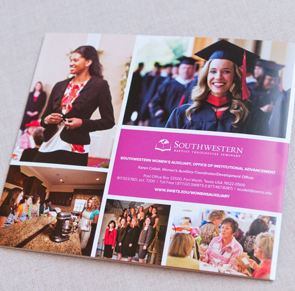 There was lots of fun copy to lay out, a few photo shoots and colors like pink, red, purple and coral… yes please!